Gieve Patel was born in 1940 in Mumbai. Gieve is a practicing doctor, a playwright, a poet and a painter (self-taught). In 1966 Gieve had his first solo exhibition at Jehangir Art Gallery, Mumbai. In 1967 he showcased at Sridharani Art Gallery , New Delhi. In 1970, 1979 - 1980 and 1990 he exhibited solo in New Delhi. In 1972 he exhibited at Pundole Art Gallery, Mumbai. In 1973 he showcased at Kunika Chemould, Delhi. In 1984, 1989, 1992, 1994, 1995 - 1996, 2002, 2003 and 2004 he exhibited solo at Jehangir Art Gallery, Mumbai. In 1975, 2000, 2007, 2009 and 2010 he had solo shows in Mumbai. In 2001 he exhibited solo in Bangalore. In 2011 Gieve showcased solo ‘Wells Clouds Skulls’ at Bose Pacia, New York. In 1972 he participated in Group Travelling Exhibition, Yugoslavia, Romania, Hungary, Czechoslovakia, Belgium and Italy. In 1976 he had a joint exhibition with K. G. Subramanyan in Mumbai. In 1976 he participated in Menton Biennale at Cagnes-sur-Mer, France. In 1977 he showcased Pictorial Space at Raindrop Bhavan, New Delhi. In 1978 he took part in ‘Six who declined to show at the Triennale’ at Kumar Gallery, New Delhi. In 1978 he participated in New Contemporaries at Jehangir Art Gallery, Mumbai. In 1979 he showcased in Focus: 4 Painters, 4 Directions along with Tyeb Mehta, Akbar Padamsee and Bhupen Khakhar at Gallery Chemould, Mumbai. In 1981 he participated in Inaugural Exhibition: Roopankar at Bharat Bhavan, Bhopal. In 1982 he participated in ‘India: Myth and Reality – Aspects of Modern Art’ at Museum of Modern Art in Oxford, UK. In 1985 - 1986 he took part in Contemporary Indian Art at Grey Art Gallery and Study Centre, New York University. In 1986 he participated in group exhibitions at Massachusetts, New York University and Paris. In 1987 he exhibited in Coup de Coeur at Halle de L’lle, Geneva. In 1989 he participated in ‘Timeless Art’ at Sotheby’s, Mumbai. In 1996 he participated in Looking into Well at Chemould Gallery, Mumbai. In 2000 he had a solo ‘Gieve Patel Paintings 1997-2000’ at Chemould Gallery, Mumbai. In 2003 he showcased ‘Gieve Patel Paintings’ at Gallery Chemould, Mumbai. In 2003 he exhibited at National Gallery of Modern Art, Mumbai. In 2004 he had an exhibition ‘Gieve Patel Paintings’ at Vadehra Art Gallery, New Delhi. In 2006 he had a joint exhibition with Sudhir Patwardhan at Bose Pacia, New York. In 2007 he participated in ‘Gateway Bombay’ at Peabody Essex Museum, USA. In 2008 he took part in ‘Multiple Modernities: India, 1905 - 2005’ at Philadelphia Museum of Art, USA. In 2008 - 2009 he participated in a travelling exhibition ‘Expanding Horizons: Contemporary Indian Art’ in Mumbai, Nagpur, Amravati, Aurangabad, Solapur, Kolhapur, Pune and Nasik. In 2011, 2012 and 2013 he took part in group exhibitions in New York, Switzerland, and Mumbai. In 1984 Gieve received the Woodrow Wilson Fellowship, Smithsonian Institution, Washington DC. In 1992 he was awarded Rockefeller Fellowship, University of Chicago. In 2003 he received C.R. Parekh Writer in Residence fellowship from University of Pennsylvania. 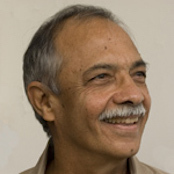 Gieve Patel has published three books and has written thirteen plays.